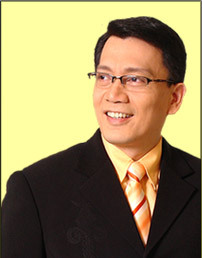 DANIEL RAZON, dubbed as the Philippines’ Mr. Public Service and Kuya Daniel, is host of several programs at UNTV 37, including his morning magazine-public service show Good Morning, Kuya. Kuya Daniel Razon was born in Bulacan province, North of Manila, and was seen already with the gift in public speaking, paving his way to broadcasting. But his biography at his website revealed his present stints in media was miles away from his childhood dreams of becoming a medical doctor. Kuya Daniel completed his Mass Communications degree at the Centro Escolar University (CEU) after the EDSA Revolution of 1986. His first work after graduation was with an FM station in Angeles City, Pampanga. Currently, Kuya Daniel hosts and produces TV programs for UNTV 37. Among them is “Good Morning Kuya”. He also hosts the Bible-reading program in the same station titled, “Mapalad ang Bumabasa” (Blessed is he who Reads), Spotlight, and Munting Pangarap (Little Dream). He is also a member of the Press Photographers of the Philippines.